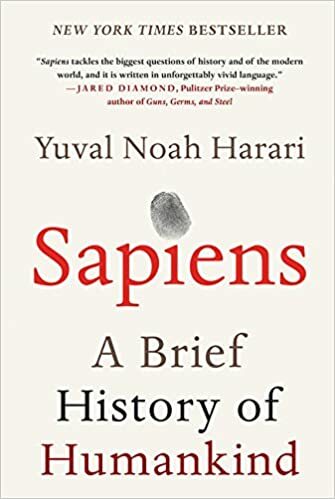 I'm reading Sapiens almost 5 days a week, but not so much as I liked (I'm so into Game of Thrones book). The book is divided in short chapters and these make up a "Part", the currently one talks about money, empires and religion. This post is about money! (I don't know if I'll write about empires or religions). All these universal orders has a thing in common: A mass of people believing in something immaterial. The money was created a lot of times in different places and developing it does not demanded any technology progress: it was a mental revolution. Because money can be things beyond dollar bills or coins, it could be a countable object which people uses to represent products's (or services) value. This revolution solved one problem (or more) that barter had: when we exchange items/products it's difficult to measure a fair trade. Example: Imagine that you sell high quality apples and you want to buy a boot. You go to the shoemaker and ask him for a new boot and try to pay it with a sack of apples. How many sacks of apples will pay fairly your boot? The shoemaker sold one boot for 10 sacks of apples once, but that time these apples didn't had the same quality which yours have. And last season the cows got sick and this resulted in a shortage of leather. Is the shoemaker interested in apples? You probably got the point. Dollar notes, gold, silver and even cigarettes only has value in our collective imagination. Money is a psychological construction. And people are willing to work (physically and/or mentally) in exchange of a product of our collective imagination. Citizens from different countries, different religions and different political opinions can work together for money. Even if they hate each other, when money is involved these differences are left aside. Because money is based in two universal principles: Universal Convertibility and Universal Confidence. "Money is the most universal and efficient system of confidence already invented". (Adapted from the book - Position 2818 (Kindle)).